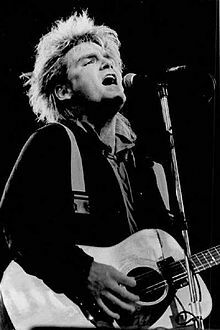 I'll have the pleasure of opening solo for Mike Peters, owner of the legendary voice that powered The Alarm. The show is at Milwaukee's Shank Hall on Tuesday, September 22nd. 8 pm start. Cover is $15, which seems eminently fair given Peters' gargantuan voice and spirit. Hope to see you there! Until then, enjoy the following bio that I very nearly submitted for the calendar on Shank Hall's website. For many years, Mike Benign has written songs and sung them while jumping around on stage. While he hasnʼt grown an inch since age 17, this does not bring him sadness because heʼs six feet tall and thatʼs a pretty good height. Earlier, Benign sang and jumped around in Milwaukee bands like Blue In The Face and Arms & Legs & Feet. 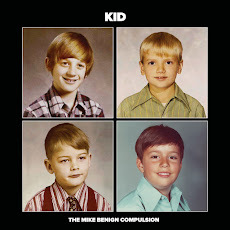 More recently, Benign has avoided a host of important and inevitable questions by fronting The Mike Benign Compulsion, who have released three full-length albums to generally kind reviews. Benign has also played solo-like with a bunch of artists who run the gamut from very excellent to really excellent. In no particular order of excellence, these artists have names like Bob Mould and Rhett Miller and Marshall Crenshaw and Black Francis. I'm interested in reserving this place because choosing the right venue which does not favor a specific culture becomes difficult. Halls here have fountains and elaborate pictures. Some Seattle venues display traditional artifacts and paintings.